There is an interesting parallel between Hubbell and Lerner. 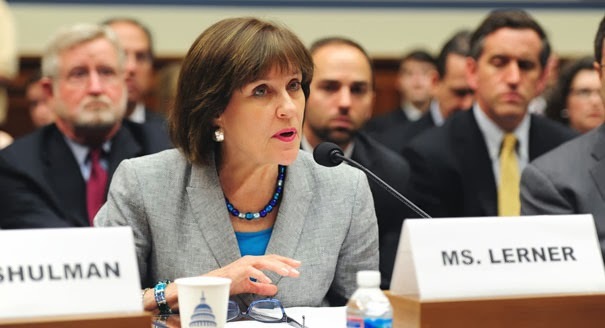 Rep. Darrell Issa, the oversight panel's chairman, issued another invitation this week to Lerner to return to testify before the committee about her role in the targeting and harassment of Tea Party and conservative non-profit groups seeking tax-exemption. In her lone prior appearance before the panel, Lerner proclaimed her innocence in a brief opening statement, then took the Fifth Amendment. The panel's GOP majority say she waived her Fifth Amendment right when she claimed to have done nothing wrong. Lerner recently offered through her attorney to testify if she was given a grant of immunity. Her attorney even provided a proffer describing the essence of her promised testimony, then subsequently claimed not to have heard back from the committee. But the proffer talks went nowhere because the description of what Lerner would say if she received the grant of immunity broke no new ground, according to panel sources. The bottom line is that witnesses who don't provide critical new evidence don't get immunity. Even so, Lerner is still trapped. On the one hand, she was deeply involved in it and was the first IRS official to admit the agency's targeting and harassment. On the other, how can somebody claim innocence while demanding immunity from criminal prosecution? The only way out of the trap is for Lerner to give up somebody important higher-up. That path may lead straight to the Obama White House. There is no reason to think she will do that, based on her professional history. Look for her to follow the Hubbell example.